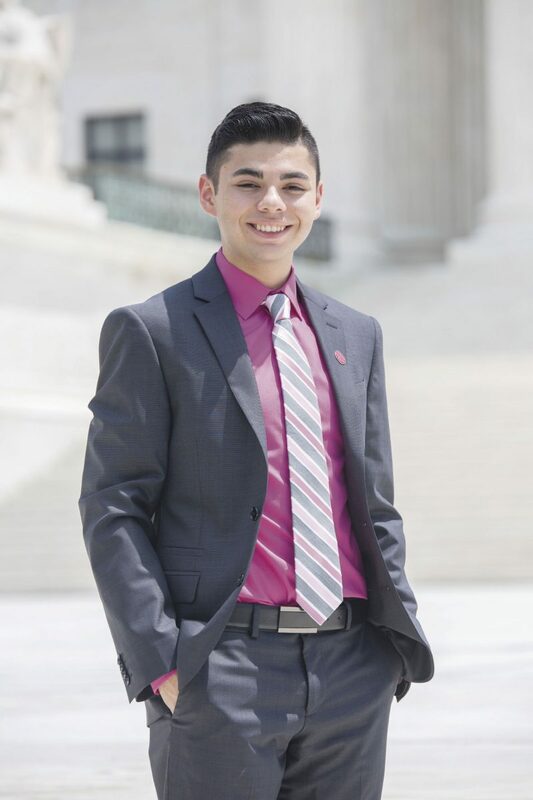 Carlos Vela is a senior at Ingleside High School in Ingleside, Texas, and the 2016 South Region Youth Advocate of the Year for the Campaign for Tobacco-Free Kids. Recently I took the day off from high school and drove three hours from Ingleside, Texas, to Austin to spend the day at the Texas Capitol to testify in support of a proposed bill that would prevent the sale of tobacco products to kids like me who are under age 21. It was a long day for three minutes of testifying, but worth it. During my four years of high school, I have been an anti-tobacco advocate. Whether it’s supporting everyone’s right to breathe clean air or defending state tobacco prevention funding, I’ve been part of the fight against tobacco. This legislative session, it’s time for Texas to be a leader in the fight against tobacco use and become the third state to pass such a law. The bill, HB 1908, currently proposed would raise the tobacco age to 21 to reduce smoking, especially among kids, and save lives. The issue of tobacco use strikes close to home for me. My mother smoked for most of her life and many of my aunts and uncles all used some sort of tobacco product. Once I got to high school, I started seeing students who smoked. I’ve been offered cigarettes and e-cigarettes. Too many of my classmates use tobacco, which is too easily available. When you’re a teenager, you don’t really think about what your behavior might lead to. But some of the statistics are pretty scary. More than 13,000 Texas kids become smokers every year. One-third of them will die early because of it. And a half a million kids alive in our state today will die prematurely from smoking. About 95 percent of adult smokers started before they were 21. An overwhelming majority started when they were 18 or even younger. Basically, if you haven’t started smoking in or before high school, it’s a pretty safe bet that you won’t become a smoker. Ever. The tobacco industry knows it has to get kids started early so they get hooked before they can fully grasp what addiction to tobacco will mean for the rest of their lives. We need to fight the efforts of the tobacco companies to target us, young people, at a critical time when many move from “experimenting” with tobacco to smoking regularly. Raising the tobacco age to 21 would help keep tobacco out of high schools. That would help everyone, especially the most impressionable kids who might feel pressured to try a cigarette or e-cigarette without understanding the consequences. The only group we know for certain will lose out if we pass a law raising the tobacco age is the tobacco companies, who admit that increasing the age will hurt their profits. For all these reasons, I fight against tobacco. I fight because we have the ability to help end something that kills millions and millions of people. I fight because I care about people’s hopes and dreams in life, which shouldn’t be shattered by the tobacco companies. I fight because the tobacco companies choose to target youth as “replacement smokers” for all the people their products kill every year. And I fight because I truly believe my peers and I will help create the first tobacco-free generation.